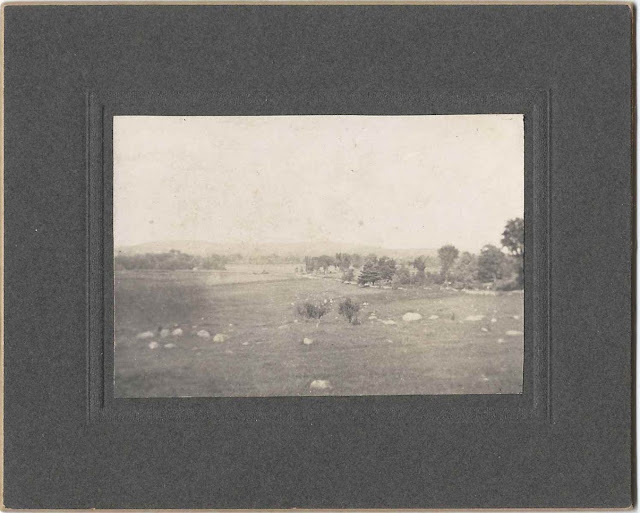 Heirlooms Reunited: Vintage Photograph of a Rural Scene with Name of Sumner B. Clark on reverse - perhaps the Sumner B. Clark of Sidney, Maine? Vintage Photograph of a Rural Scene with Name of Sumner B. Clark on reverse - perhaps the Sumner B. Clark of Sidney, Maine? Interesting old photograph, possibly c1900 or earlier, of a rural scene and the name of Sumner B. Clark on the reverse. The rocks throughout the field made me think of Maine, and there just happened to be a Sumner B. Clark who farmed at Sidney, Maine. My hope is that someone from the area will recognize the scene, which could possibly be along the west side of the Kennebec River, with the high ridge on the horizon possibly in Kennebec, Waldo or Lincoln counties. The western border of Sidney runs along Messalonskee Lake, so the view could be of the lake with the mountains of Somerset or Franklin Counties in the background. I've heard, however, that Sumner B. Clark had a farm near the Kennebec River. 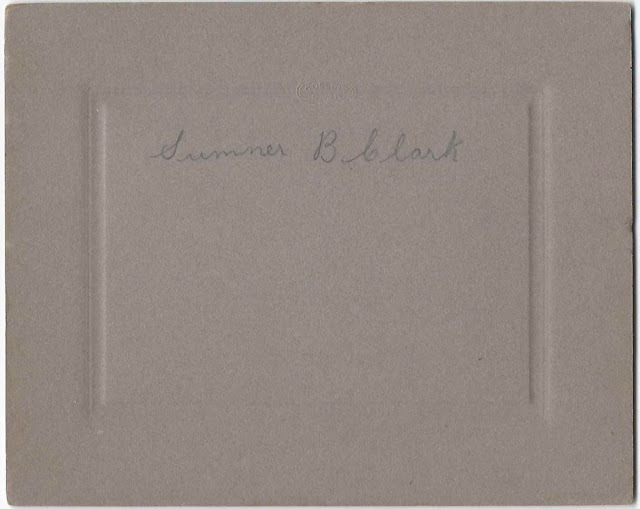 Sumner B. Clark was born 12 February 1852 at Sidney, Maine, son of Thomas and Ruth (Cain) Clark. On 6 December 1882 at Sidney, Maine, Sumner married Jeanette E. Wilber, "Jennie", who was born 7 March 1866 at North New Portland, Maine, the daughter, I believe, of Franklin K. Wilber and Elvira (Dyer) Wilber. Francis K. Wilbur was living with Sumner and Jennie at the time of the 1900 Census of Sidney, Maine, but he was described as a boarder. It would have been more reassuring if he had been listed as father-in-law. Sumner and Jennie had two daughters and a son: Lenora Maude Clark, Leola Vivian Clark and Cassius Wilbur Clark. Sumner died 17 February 1926 at Sidney, Maine. His widow Jennie lived until 1951. If you have corrections to the information on the Sidney, Maine, Sumner B. Clark above, or if you have a theory as to the location of the photograph, in Maine or out of state, please leave a comment or contact me directly. Thanks!